The BBC Press Office have announced a range of Doctor Who based games to download. The Doctor, Amy and some of Doctor Who's most iconic monsters will be making a journey from TV to home computers, as the BBC unveilsDoctor Who – The Adventure Games, four original "interactive episodes", which will be made available for free frombbc.co.uk/doctorwho. These four new adventures will take the form of downloadable computer games available for PC and Mac, in which players assume control of The Doctor and Amy as they embark on new adventures which complement the new TV series. 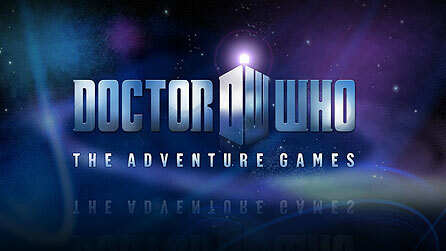 Doctor Who – The Adventure Games has been produced by a team drawing on the very best talent from TV and gaming. The interactive episodes are executive produced by Steven Moffat, Piers Wenger,Beth Willis and Anwen Aspden (BBC Wales Interactive), alongsideCharles Cecil, one of videogaming's most revered creators. The games are being developed by Sumo Digital, one of the UK's best game designers. Stories and scripts are by Phil Ford (co-writer Doctor Who – Waters Of Mars) and James Moran (Severance, Torchwood Children Of Earth). The project has been commissioned for BBC Online by the Vision Multiplatform team, headed up by Simon Nelson, and is being driven by BBC Wales Interactive. 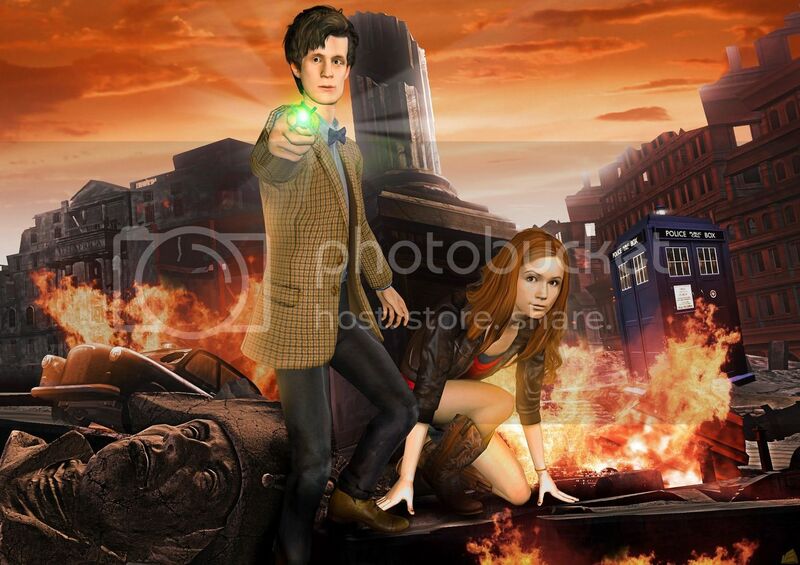 Matt Smith and Karen Gillan have been digitally recreated in-game, and have provided full voice-overs. Music has been provided by TV series composer Murray Gold. An additional cast will portray original characters and classic enemies. "Children don't just watch Doctor Who, they join in. They make up games, invent their monsters, create their own stories," says Steven Moffat, executive producer, Doctor Who. "Now, there's something else – now, they can be The Doctor in brand-new episodes. Doctor Who – The Adventure Games will offer fans of The Doctor a unique opportunity to enter his world, face his challenges and grapple with his deadliest foes. "By developing these games alongside the new TV series, we've been able to weave exciting narrative strands with the very finest game design to create a new kind of Doctor Who, which can be enjoyed by the whole family." Piers Wenger, Head of Drama, BBC Wales, and executive producer, Doctor Who, adds: "There aren't 13 episodes of Doctor Who this year, there are 17 – four of which are interactive. Everything you see and experience within the game is part of the Doctor Who universe. We'll be taking you to places you've only ever dreamed about seeing – including locations impossible to create on television." Simon Nelson, head of BBC multiplatform in Vision, continues: "A few years ago, we couldn't have dreamt of commissioning such an innovative form of drama. By integrating the creation of these 'interactive episodes' with the development of the TV series, we've been able to create amazing two-hour dramas, in which you control the action. "We've all imagined what it would be like to come face to face with some of the universe's most terrifying monsters – now, viewers can find out for themselves. "Establishing new forms of drama is exactly what the BBC should be doing. By aiming these 'interactive episodes' at the broad audience of the TV show – unique in British television, in that it encompasses at least three generations – we're aiming to encourage the family to gather round the PC or Mac in the same way they do the television. Driving computer literacy is a keystone of the BBC's public service remit and we expect Doctor Who – The Adventure Games to be hugely popular in the homes of Britain this year. "Only the BBC could produce such an innovative slice of new drama. We're offering two-hour original Doctor Who episodes to production standards on a par with the TV series, working with the very best creatives within the UK. We're hugely proud of Doctor Who – The Adventure Games, which will establish new standards in interactive drama and allow families the country over to enjoy Doctor Who stories in unique and innovative ways." Anwen Aspden, executive producer, BBC Wales Online, concludes: "Doctor Who – The Adventure Games will offer the chance for Doctor Who fans to visit places they've only dreamed of, facing off against monsters they've previously had to imagine. "Players will visit places which have never been shown on television – and these will go on to define the look and feel of future TV episodes." The exact titles of the four episodes are being kept secret for the time being, but the four original stories will take players on a journey throughout time and space, including one location from the Doctor Who series which has never been seen before on screen. Players will encounter new and original monsters, in stories which form part of the overall Doctor Who canon. The first episode of Doctor Who – The Adventure Games will be available to download for PC and Mac from bbc.co.uk/doctorwho in June 2010. Its title will be revealed at a special press event on 21 April in Sheffield. Popzara - The BBC Introduces Free Downloadable Doctor Who: The Adventure Games For PC and Mac! Brisbane Times [AU] - Who made Who? CBBC - See the new Dr Who computer game!